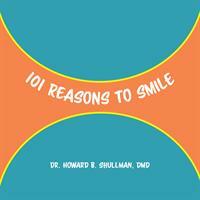 Wellington, FL, April 9, 2018 – Dr. Howard B. Shullman of Shullman Orthodontics is on a mission to spread smiles throughout Palm Beach County with his new book, 101 Reasons to Smile, published by StarGroup Books. Dr. Shullman’s dental practice offers a variety of orthodontic treatments designed to create beautiful smiles for his patients, but he hopes that his lighthearted book will give readers plenty of reasons to smile. Dr. Shullman has a desire to impact his community in a positive way, and in addition to his daily professional duties, he actively supports local schools and participates in youth recreational sports leagues. Copies of 101 Reasons to Smile are being donated to select Palm Beach County schools, libraries, pediatric hospitals, and non-profit organizations. Dr. Howard B. Shullman, DMD and his staff offer a variety of customized orthodontic treatments and services, along with the highest quality care to people of all ages. For over 25 years, a team of top industry talent has created memorable branding, innovative marketing campaigns, and media coverage for their clients. StarGroup Books is the publishing arm of StarGroup International, and the recipient of many state and national Indie Book Awards. Custom books are a unique marketing tool used to develop brand awareness and industry credibility, generate media coverage, and raise funds for non-profit organizations.